I’m not going to tangle myself up in the discussion on what is considered to be “organic” and not. What I want to focus on is a brand that I love and enjoy dearly, called The Organic Pharmacy. Founded in London by a woman (horray for female entrepreneurs) who back then studied to become a pharmacist and working night shifts at the local pharmacy, this brand has the growth of a forrest! Everyone, from celebrities to skincare experts likes it. The full disclosure at the ingredient lists together with an incredible ethos makes the brand very likeable. I came across the brand several years ago in London. The shops are elegant and with its white and silver pharmacy looking interior it somehow gives you the feeling of seriousness. Of course you can book an appointment for a skin consultation or a full facial, there are plenty to choose from, but I prefer to stroll around by my own and enjoy the display. Skincare and haircare sits on the shelves together with sun protection, supplements and their own range of organic makeup. Everything feels lush. And yes, it is expensive. 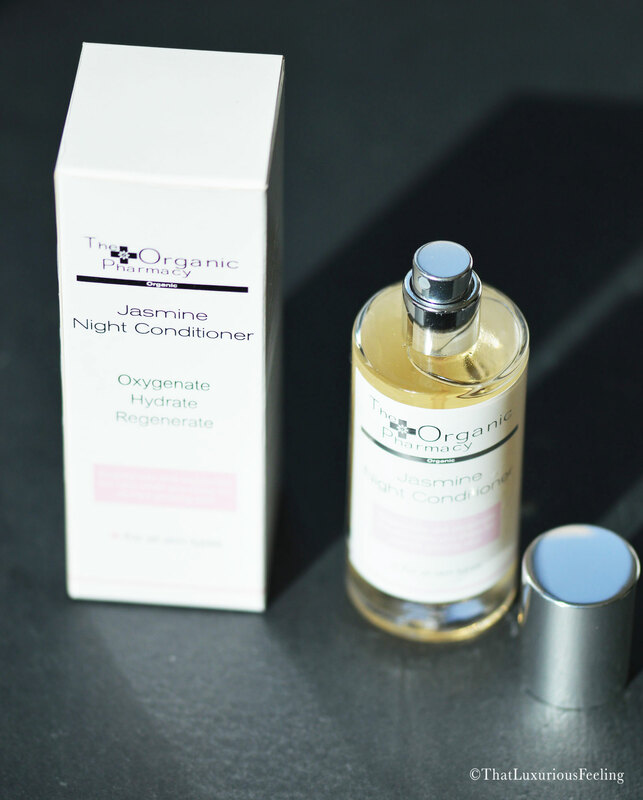 The Jasmine Night Conditioner is one of my favourite products at The Organic Pharmacy. This spritz is built up by rose hip oil and jasmine oil (although it doesn’t come out oily, it comes out like a superfine mist) working together with oxygen 6c and vitamin C.
What is all of this then? 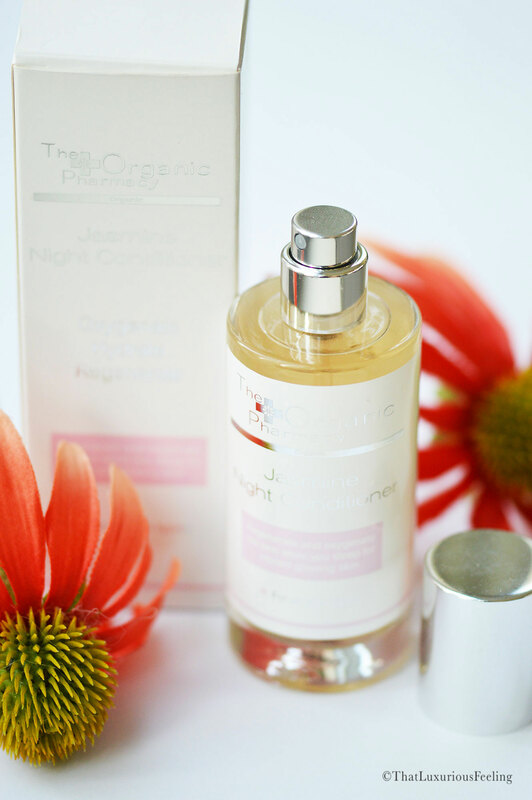 Well, the spritz is unisex, it works for all skin types and is thought to be a part of your night time regime. With the oxygen 6c, which penetrates the skin, improves blood flow and circulation it is constructed to phase out the night moisturiser. It shall, together with serums be enough moist for the night. This is right up my alley as I’m a serum-freak but can’t stand thick night creams that greases my hair and pillow..
Jasmine has always been considered to be a stress relief and rose to be healing and cleansing. I’m not overly fond of the scent of Jasmine myself, but can live with it as the spritz absorbs quickly into the skin. 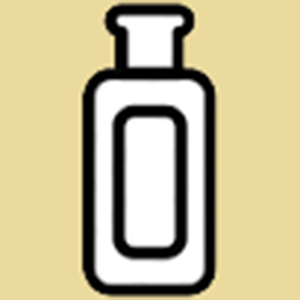 It is supposed to be used after your double cleanse and before the treatment (serum) is added. I sometimes even spritz it while sitting in front of the computer, if I feel that my face need a little pick-me-up. It’s quite lovely.